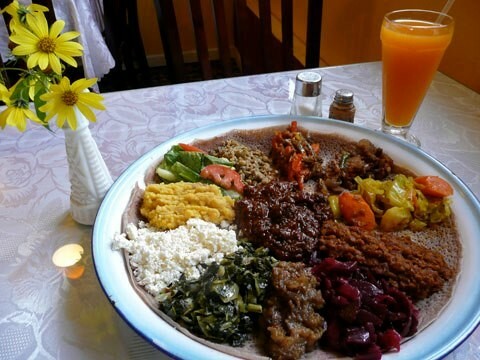 Traditional Ethiopian cuisine (including breakfast!) in a lovely room. Meat-eating fans praise the stews and doro wat; vegetarians love the veggie combination.